Tomorrow, January 25, the Solemnity of the Conversion of Saint Paul, ends the annual observance of our praying for unity among Christians. I hope you’ve had this intention in prayer this week! This afternoon I want to reflect a little bit on the need for unity among Christians by looking at history. A good Christian always has a sense of history. But referencing history is not a mere exercise; it is a dialogue, it is a manner of listening to another; history is to see the finger of God in good of human history seeing wisdom, knowledge, love, service, community. Indeed, God’s plan is always revealed in history. The concreteness of history charts the course of the future and not merely for the short term. The longview is a value! These days I think we are moving away from praying and working for unity among Christians. The three recent popes have given us a vision for ecumenical dialogue and engagement. Just look at what Benedict did; look at what Francis is doing. Yet, those of us 3000 miles away from the Holy See are experiencing the heart’s tepidity. More and more I sense the seminarians, priests and bishops and laity give lip service to ecumenical relations but are doing little concrete. Here in CT I have not heard one prayer for Christian unity at Mass, or other services of prayer that I have been since the 18th; I have not seen the State’s bishops exhort the faithful to pray for Christian unity nor have anything meaningful for us to engage our thinking anew. Sad. We prayed for intentions of Pro Life –a most needed intention, don’t get me wrong, but we don’t have to be so binary in our thinking and acting as a community of believers as Pope Benedict showed us. He said and demonstrated that ecumenism is the way of being Catholic, and the lack attention is quite startling. It seems that vigor of year’s past ecumenism is collapsing. But it doesn’t have to. We should ardently pray to God through the intercession of Blessed Gabriella Maria Sagheddu, an Apostle for Unity. What follows was prepared jointly and published by The Pontifical Council for Promoting Christian Unity and The Commission on Faith and Order of the World Council of Churches. 1840 The Rev. Ignatius Spencer, a convert to Roman Catholicism, suggests a ‘Union of Prayer for Unity’. 1908 First observance of the ‘Church Unity Octave’ initiated by the Rev. Paul Wattson. 1935 Abbé Paul Couturier of France advocates the ‘Universal Week of Prayer for Christian Unity’ on the inclusive basis of prayer for “the unity Christ wills by the means he wills”. 1958 Unité Chrétienne (Lyons, France) and the Faith and Order Commission of the World Council of Churches begin co-operative preparation of materials for the Week of Prayer. 1964 The Decree on Ecumenism of Vatican II emphasizes that prayer is the soul of the ecumenical movement and encourages observance of the Week of Prayer. 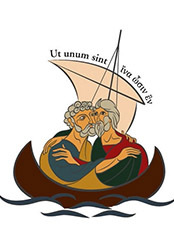 1968 First official use of Week of Prayer material prepared jointly by Faith and Order and the Secretariat for Promoting Christian Unity (now known as the Pontifical Council for Promoting Christian Unity). 1988 Week of Prayer materials were used in the inaugural worship for The Christian Federation of Malaysia, which links the major Christian groupings in that country. 1994 International group preparing text for 1996 included representatives from YMCA and YWCA. 2008 Commemoration of the 100th anniversary of the Week of Prayer for Christian Unity. (Its predecessor, the Church Unity Octave, was first observed in 1908). From the 18-25 January 2014 the churches will observe what is called the Week of Prayer for Christian Unity. Pope Paul VI in 1964 spoke of ecumenism not as a frontier, but a opening a door; not closing a dialogue, but keeping it open; not blaming for errors, but seeking virtue. The work of dialogue among Christians can be extraordinarily beautiful and satisfying but it can also be difficult and frustrating. Much has to be focused on recognizing the Lord as the way, truth and the life, and then how to live the truth by relying with all our strength on the Holy Spirit. The key, in my estimation is not determined by human persons but by the Divine Persons. Spiritual ecumenism needs to be better known, lived and promoted. The object is for Christians to pray in a full visible way as one in Spirit and Truth. Blessed Maria Gabriella Sagheddu, pray for us. For decades there has been an exchange of greetings between the Pope and the Archbishop of Constantinople. This is what you may say is a traditional expectation between brothers. Rome sends a message through a delegation on the feast of Saint Andrew (today) and the Orthodox do the same on the feast of Saints Peter and Paul (June 29). 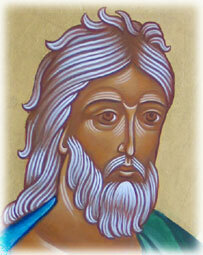 This year, the feast of Saint Andrew is the first time Pope Francis is able to write to Bartholomew. You’ll note that Pope Francis is keen on working for improved fraternal relations with the Church in Constantinople. Here is a Vatican Radio report. Your Holiness, beloved brother in Christ, this is the first time that I address you on the occasion of the feast of the Apostle Andrew, the first-called. I take this opportunity to assure you of my intention to pursue fraternal relations between the Church of Rome and the Ecumenical Patriarchate. It is for me a source of great reassurance to reflect on the depth and the authenticity of our existing bonds, the fruit of a grace-filled journey along which the Lord has guided our Churches since the historic encounter in Jerusalem between Pope Paul VI and Patriarch Athenagoras, the fiftieth anniversary of which we will celebrate shortly. God, the source of all peace and love, has taught us throughout these years to regard one another as members of the same family. For indeed we have one Lord and one Saviour. We belong to him through the gift of the good news of salvation transmitted by the apostles, through the one baptism in the name of the Holy Trinity, and through the holy ministry. United in Christ, therefore, we already experience the joy of authentic brothers in Christ, while yet fully aware of not having reached the goal of full communion. In anticipation of the day in which we will finally take part together in the Eucharistic feast, Christians are duty-bound to prepare to receive this gift of God through prayer, inner conversion, renewal of life and fraternal dialogue. It is with sentiments of profound esteem and warm friendship in Christ that I invoke abundant blessings on Your Holiness and on all the faithful of the Ecumenical Patriarchate, asking the intercession of the Virgin Mother of God and of the holy apostles and martyrs Peter and Andrew. With the same sentiments I renew my best wishes and exchange with you a fraternal embrace of peace.